¡Olé! It’s Cinco de Mayo! Me gusta Cinco de Mayo, even if I cannot claim an ounce of Mexican heritage. Regardless, Chef (who’s French) and I join the festive spirit by raising our margarita stems to salute Mexico’s victory in 1862 over the French at el día de la Batalla de Puebla. We, and many others, do not recall the battle that happened 153 years ago in a small Mexican village. Instead, May 5th is a national excuse for eating bowls of salsa and baskets of tostadas washed down with cold Mexican cervezas and salt-rimmed margaritas. As a native Texan, me encanta a strong kick in my tart margaritas and hot salsa. You can bet your boots this duo will be served on Tuesday. 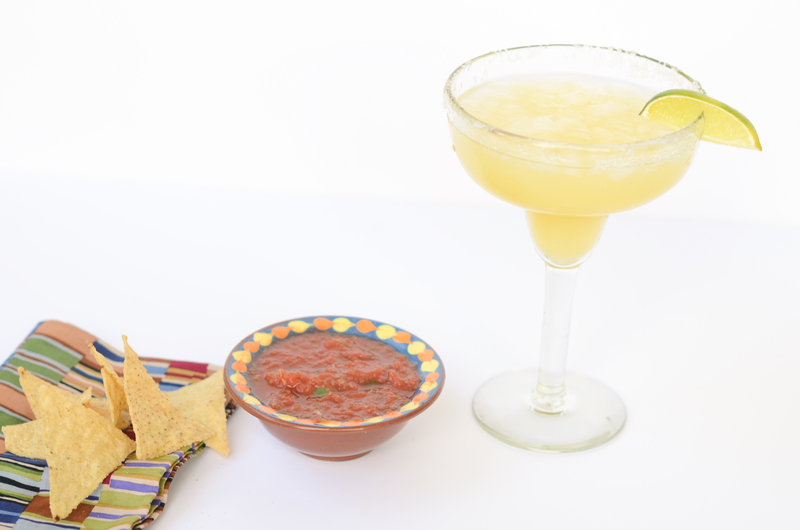 Today’s blog post shares our family’s salsa and margarita recipes. While preparing for your fiesta, why not get into the spirit with some great Mexican musicians on Spotify? Check out Natalia Lafourcade and Julieta Venegas, and Los Angeles based, Ozomatli. My beautiful sister-in-law, Wendi, makes a mean batch of salsa. It is the most requested dip at any family gathering. Once the salsa is placed on the table, we are like savage scavengers attacking the spicy tomato sauce. Those who arrive thirty minutes late risk missing out on the dip. It’s that good. Her coveted recipe is shared below. 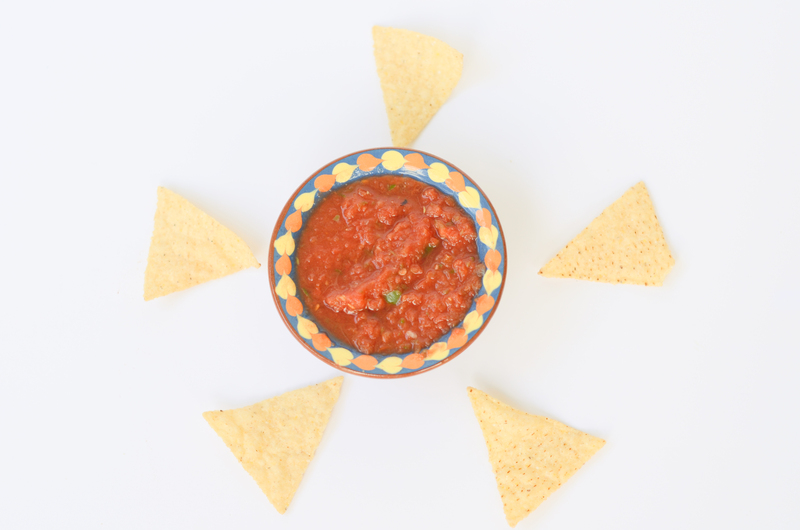 Sure you can buy salsa– but making it is easy, and the extra servings can be frozen for you to enjoy— alone. In a food processor, combine the onion and jalapeño. Add remaining ingredients and pulse to combine. 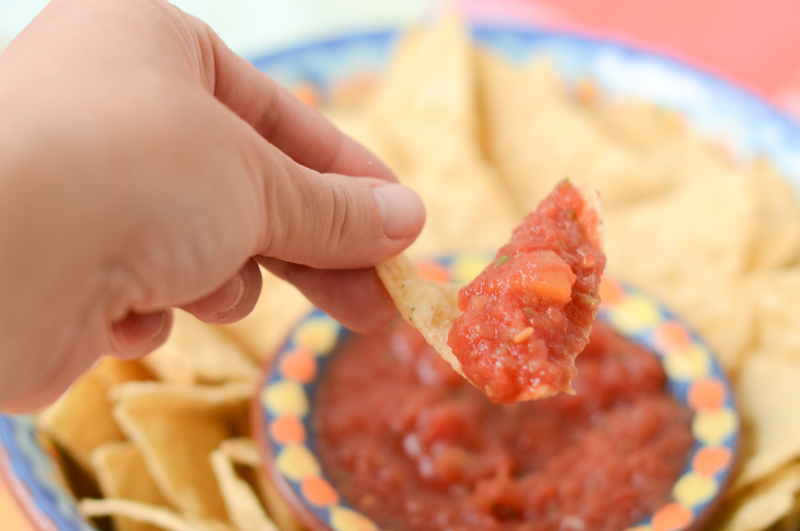 As the ingredients are fresh, you need to eat the salsa within a week and freeze any extras. We suggest making the salsa one day ahead to allow flavours to permeate. Growing up in Texas, we got our weekly Tex-Mex fix Friday nights at Ninfa’s. My mother lived for her Friday night “Ninfarita”. I did not get it then, but now as a mother– I totally get it. 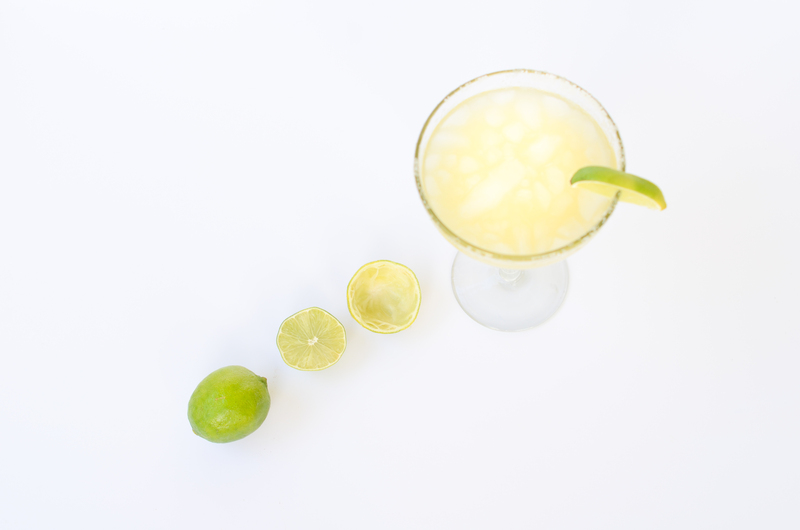 Nothing taste more like Cinco de Mayo than a cold margarita. The best mixing advice, only use fresh juice. Sure it is easier to buy a ready-made mix, but you’re adding empty calories and way too much syrupy sweetness. Fresh lime juice may be bought at Whole Foods and Central Market. Or the old fashioned way, simply juice the citrus for Chef’s Fresh Margaritas. Mix all ingredients into large pitcher and stir. For salted rim: rub rim of margarita glass with lime juice, then turn in a plate of rock salt until evenly and lightly coated. Patrón Citrónge is a fraction of the cost of Cointreau and is just as full of taste and smoothness. You can make margaritas with top shelf tequila, but as my dad has always said– why mix a perfect liquor that is created to stand on its own? We save our Patron Silver to enjoy neat, and find Trader Joe’s ‘Distinqt Tequila Reposado 100% Agave’ smooth, very affordable, and the perfect choice for margarita nights. 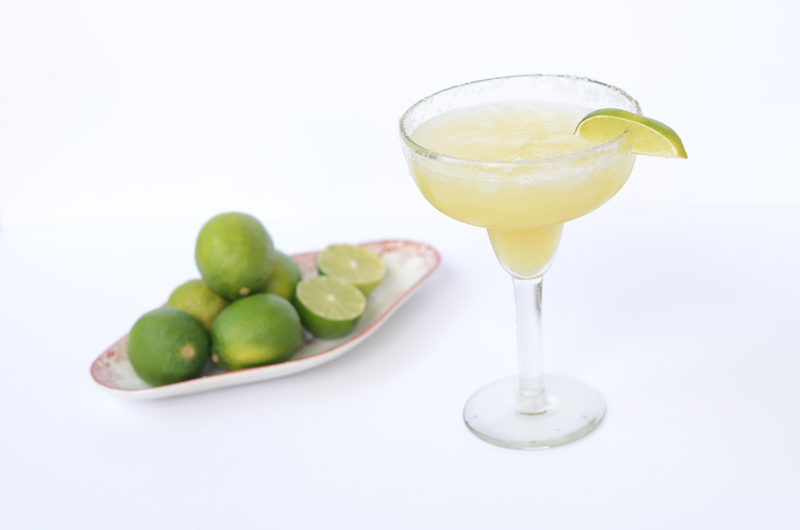 For frozen margaritas, place mixture directly into freezer without any ice. For rocks margaritas, best to add ice to individual glasses rather than to the pitcher. A watered down margarita is no bueno! Feliz Cinco de Mayo! I have been out all day and just saw your comment here on the blog… So sorry to be too late for the fiesta! The lemon is an added twist– for a pitcher– half a cup would be recommended, but not required! Hope your margs were tasty. They are always a treat!